Thrilled to see this story on a nursing student, her DIY medical technology ingenuity, and the amazing quest to save her family from ebola. 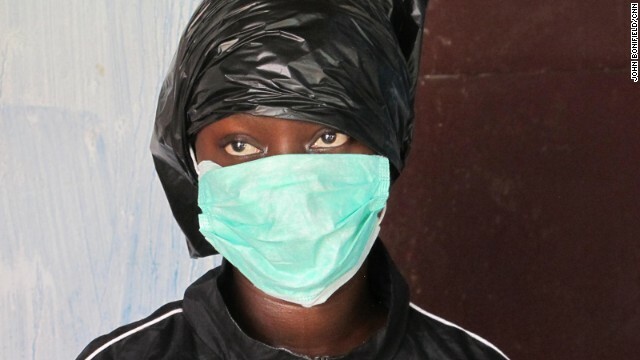 It can be exhausting nursing a child through a nasty bout with the flu, so imagine how 22-year-old Fatu Kekula felt nursing her entire family through Ebola. Her father. Her mother. Her sister. Her cousin. Fatu took care of them all, single-handedly feeding them, cleaning them and giving them medications. And she did so with remarkable success. Three out of her four patients survived. That’s a 25% death rate — considerably better than the estimated Ebola death rate of 70%. In a world where people are discussing how to innovate better hazmat suits, Fatu decided not to wait. She invented her own.